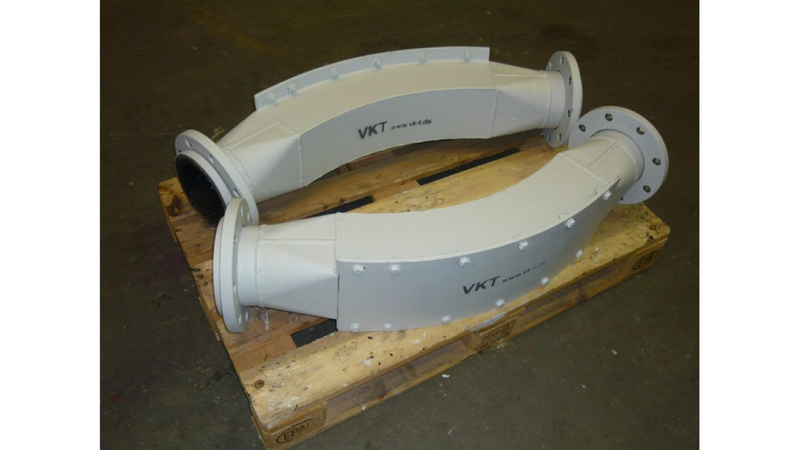 The VKT pipe bend is an aerodynamic pipe bend with optimized wear protection. The exchangeable back plates guarantee good access and easy exchange. Inlet and outlet flange are completely coated. All standard sizes as well as special designs such as leg extensions are available.